Travel insurance provides a much needed financial cover and helps to salvage the situation by alleviating the financial impact of travel mishaps such as lost luggage or sickness. 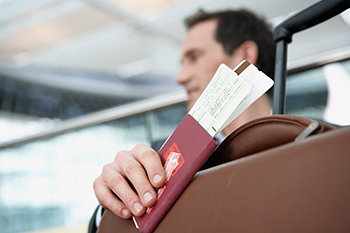 Below are five reasons why you should buy travel insurance. Whether it is for business or leisure, traveling is an exciting experience for many. The excitement of traveling; however, can be quickly washed down by a bout of sickness or lost luggage especially when you are in a foreign country. Furthermore, complications arising from differences in language, cultures, currencies or even lifestyles can quickly turn a bad situation to worse and eventually reduce the excitement of travel to a ball of worry and regret. Unlike popular belief many insurance companies offer travel insurance products for a fairly low and affordable premium. You can conveniently purchase travel insurance online and avoid troubles associated with travel or staying in a foreign city. Most insurers make available convenient and easy channels through which clients (policyholders) can lodge their claims. Most companies have manned call centers available with toll-free numbers for both local (in India) and international (outside India) use. To bridge obvious cultural differences and perhaps language challenges normally associated with international travel, insurers have proactively made strategic partnerships with external entities to provide support for their clients. When you fall ill especially in a foreign country, your ability to organize for sufficient finances to cater for your hospitalization is severely limited. For this reason, a number of insurers offer cashless hospitalization facility in the travel insurance products. It should, however, be clear to customers such services decrease in popularity for destinations that are infrequently visited. Travel insurance products have developed over the years to accommodate special groups of travelers such as students, professional sportsmen, and religious pilgrims amongst others. Through these products, you can find a good fitting policy that includes features you are looking for. You cannot take away the pain or frustration associated with travel mishaps, however, travel insurance provides a cushion to your financial wellbeing as well as provide some level of comfort. Anyone can find a good reason to purchase travel insurance on their next voyage.